Agency, 6 December : Could an infection make your child or teen prone to mental health issues? New research from Denmark suggests it’s possible. “The findings linking infections with mental disorders in the developing brain do add more knowledge to this growing field, showing that there exists an intimate connection between the body and the brain,” said lead researcher Dr. Ole Kohler-Forsberg, from the psychosis research unit at Aarhus University Hospital. But Kohler-Forsberg cautioned that the study could not prove that infections or their treatments cause mental diseases, only that they seem to be connected. The risk appeared greater for severe infections that required hospitalization. But less severe infections treated with drugs were also linked to an increased risk for mental disorders, the researchers found. 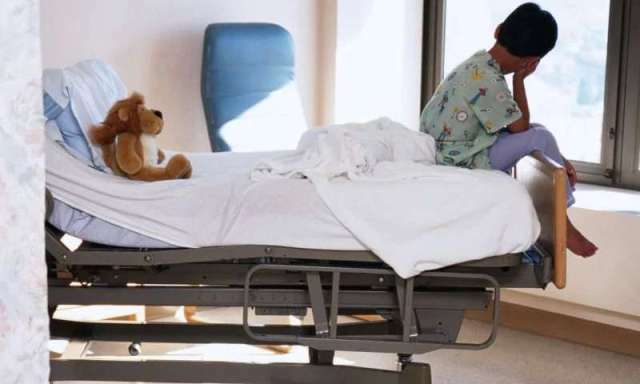 Specifically, they found that children who had been hospitalized with an infection had an 84 percent increased risk of being diagnosed with a mental disorder and a 42 percent increased risk of being prescribed drugs to treat the disorder. It seems that infections and the inflammatory reaction that follows can affect the young brain and be part of the process of developing mental disorders, Kohler-Forsberg explained. “This can, however, also be explained by other causes, such as some people having a genetically higher risk of suffering more infections and mental disorders,” he said. How infections increase the risk for mental illness isn’t clear, Kohler-Forsberg said. The frequent infections that everyone experiences do not generally harm the body or the brain, he said. In fact, infections are necessary to develop the immune system. “But for some individuals, an infection can affect the brain and lead to lasting damage, although this is a rare event,” Kohler-Forsberg said. For the study, researchers collected data on more than 1 million people born in Denmark between 1995 and 2012. Among these, nearly 4 percent were hospitalized for a mental disorder and more than 5 percent were taking drugs to treat their condition. Kohler-Forsberg’s team found that infections treated with medications, especially antibiotics, were associated with an increased risk for mental illness. The extent of the risk varied by the type of mental disorder. Bacterial infections conferred the highest risk. The mental conditions that were most commonly linked with having been hospitalized for an infectious disease include schizophrenia, obsessive-compulsive disorder, personality and behavior disorders, mental retardation, autism, attention deficit hyperactivity disorder, oppositional defiant disorder, conduct disorder, and tics, the researchers reported. “A better understanding of the role of infections and antimicrobial therapy in the development of mental disorders might lead to new methods for the prevention and treatment of these devastating disorders,” Kohler-Forsberg said. He cautioned again that these are general associations and do not say much about any single infection. Research over the last few decades has revealed many complex interactions between the mind and the immune system, said Dr. Timothy Sullivan, chair of psychiatry and behavioral sciences at Staten Island University Hospital in New York City. These include correlations between inflammation and symptoms of depression, as well as gut microbes and emotional health. Strong associations between mental illness and some physical conditions — such as heart disease, cancer and arthritis — also exist, he said. “As yet, although we have identified some of the cellular and physiological mechanisms through which these interactions may occur, we have not fully elucidated the links, and some in the scientific community, as a result, remain unsure that these observations are anything more than coincidence,” Sullivan said. As insights from the developing knowledge of the human genome and gene functions increase, “understanding the impact of even routine illnesses on the risk for mental illness will be a crucial component of scientific inquiry, and will allow us to one day — hopefully soon — anticipate and treat those risks directly,” he added.